Erie Times-News via AP Pennsylvania State Police investigate the scene where Steve Stephens, the suspect in the random killing of a Cleveland retiree posted on Facebook, was found shot dead Tuesday, April 18, 2017, in Erie. 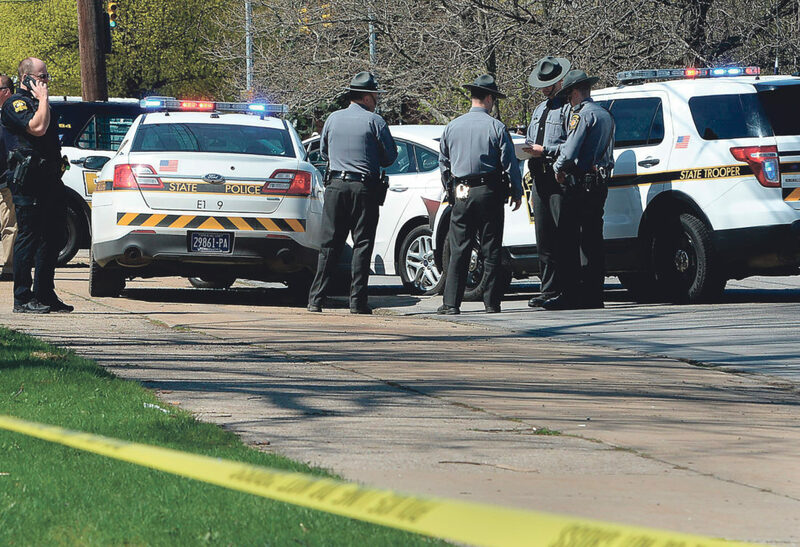 Pa.
ERIE, Pa. (AP) — The man who randomly gunned down a Cleveland retiree and posted video of the crime on Facebook killed himself Tuesday during a police chase in Pennsylvania that began when a McDonald’s drive-thru attendant recognized him. The break in the case came when police received a tip that Stephens was at the McDonald’s in Erie, about 100 miles east of Cleveland, where he ordered a 20-piece Chicken McNuggets and fries.